I first met Lindsay and Brian at Burton Court wedding fayre.They looked through my albums and loved the way I captured the story of weddings in a relaxed, natural, fun way. Documenting the wedding in an authentic way that captures the true moments of the occasion. They didn’t want anything to set up or contrived. I seemed to fit the bill so I was thrilled that they booked me. The wedding was held at the beautiful Burton Court in Herefordshire. Run by the very capable Ed Simpson, it’s a fantastic wedding venue and I always look forward to covering weddings there. When I arrived Brian and his best man and ushers were busy pinning their flowers into their buttonholes. Meanwhile, guests started to arrive, some heading straight for the bar! At Burton Court, they are licensed to hold ceremonies on the premises and they are always held in a wonderful spacious room with a huge bay window, casting a wonderful quality of light. Always good news for us photographers! Lindsay arrived in a classic Bentley with Dad in tow. There had been some showers in the morning but now the sun came out to greet them. As with every wedding, I cover I dutifully recorded the event’s that unfolded. Great documentary photography is not about taking and a random load of snapshots, it’s about capturing the story using good light and composition, it’s about timing and careful observation, it’s about capturing personalities and characters. 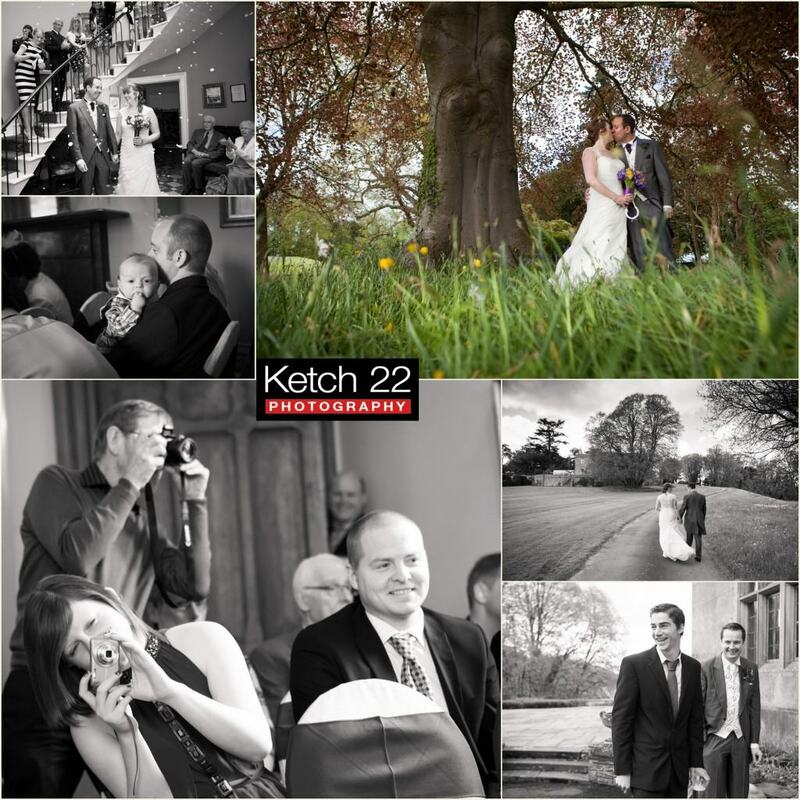 You can view some of my favourite images from the wedding in my montage below. To view more of my images just to my gallery on my website. You can also view my testimonials, what wedding venues I’ve covered and find out more about me. If you’d like me to cover your wedding please don’t hesitate to contact me, so we can discuss your wedding requirements.